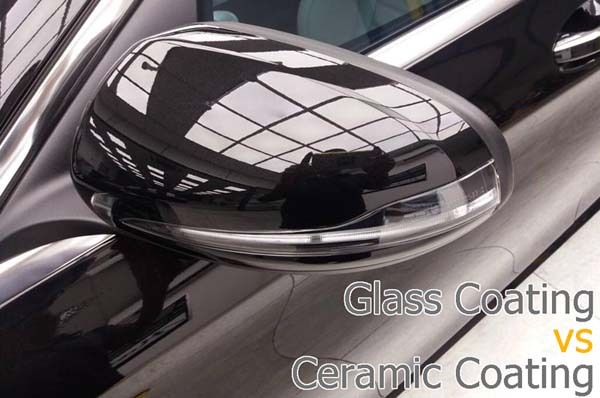 Glass Coating vs Ceramic Coating – Which one is Better for Car Coating? Home » Glass Coating vs Ceramic Coating, Which Car Coating is Better ? Glass Coating vs Ceramic Coating, Which Car Coating is Better ? For many around the world, cars are like prized possessions. Not only they maintain the car in terms of internal and more mechanical functions but invest equally on its external experience. One of the factors that affect the aesthetic of car is the shine and gleam as the light hits it just right. Have you ever just come to stop next to a car on sunny day or a heavily lit street at night and then noticed how it gleams? The view is just mesmerizing and leaves you wondering what causes it. In the past, people have used wax and buffing to make the car paint shine but both have certain disadvantages. Nowadays, car owners prefer nano coating. Nano coating is inspired from pottery makers of the past. They used a combination of copper, silver salts, and oxides that produced a luster on a given surface. In cars, the coating or polymers attach to the car’s paint and create a strong bond. In today’s post about car coating, we define the differences between glass and ceramic coating. We will also help you decide which one is better if you are seeking to get glass coating Malaysia or ceramic coating Malaysia. In terms of car coating formulas, both glass and ceramic coatings can have the same composition. Although, there are certain structural differences. To explain better, let us consider the example of silica glass and quartz, which is crystalized silica. Now both have the same composition but the atoms are arranged dynamically in silica glass. On the other hand, the atoms are in more orderly structure in the quartz. Both have their own unique characteristics when used as a car coating. They are, in modern times, the best kind of car paint protection to apply. Whether it is glass or ceramic coating, both can strongly bond with the car’s paint and can’t be removed using regular methods. Which Car Coating is Better? Ceramic coating is a good option for protecting the car’s paint against weather, scratches, dust, spills, etc. The protection is much stronger than a wax coating and durable enough to last for about 4 to 6 months. It does require heating so the bonding to the paint is solid and complete. On the other hand, glass coating will immediately bond to the car upon application. The car will be insulated against almost all types of chemical attacks and environmental damages. In terms of professional advice, glass coatings are more durable than ceramic coatings. If you want quick shine for the car, which is still durable, then you should get a ceramic coating. If you want even more durability but can wait out a longer coating process, then glass coating it is. If you are planning to get a car coating Malaysia, then we offer a professional service at highly market-competitive rates. For further inquiry, booking an appointment or getting a service quote, please call us.